The adoption journey can be a tough one, and an experienced Florida adoption attorney is a necessity. From endless paperwork to the feelings of uncertainty and the pressures of new parenting — the help of an adoption attorney can ease the burden of your adoption experience. If you are a birth mother, it is also beneficial for you to have legal support and guidance, separate from the attorney representing the adoptive parents, during this difficult transition period. Karen Persis handles all aspects of adoption law, including relative, step-parent, and second parent adoptions, and believes that careful planning, on both ends, is the key to a successful adoption plan. If you are a prospective birth mother with an unplanned pregnancy, Karen Persis can provide counsel on a variety of adoption plans. • Your rights and the rights of the birth father. • Closed and open adoptions. Endless trials and tribulations can make you less confident in your journey to child adoption. But, Karen Persis is here to help. She will help you understand the process by providing thorough guidance and a plan with regard to the options and choices available to you. Whatever your priorities are, there is an adoption plan for everyone. Karen Persis wants to help you find yours. • Open and closed adoptions. • The rights of the birth mother and father. 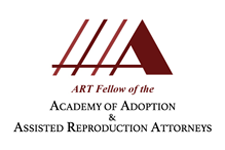 • Florida adoption laws, procedure, and how they apply to your case.